A super premium Scottish 'single estate' gin has been launched by Arbikie, which claims to be Scotland’s first farm-to-bottle distillery. Kirsty’s Gin is the second spirit to be released by Arbikie following its launch of Scotland's first potato vodka. 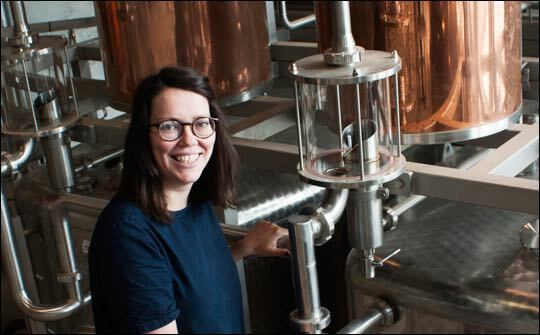 Named after Arbikie’s master distiller Kirsty Black, who has been developing the gin for over two years, the gin uses Arbikie’s potato vodka as its base spirit. Arbikie is reviving the site’s distillery tradition, which dates back to the 18th century. It uses copper pot stills to bring the time-honoured art of Scotch whisky distilling to the production of all its spirits. Kirsty’s Gin is distributed by Gordon and MacPhail with a RRP of £35 and is available UK-wide through major retail outlets. A list of where Arbikie is available in major retail outlets is listed on the distillery website www.arbikie.com.